I thought it might be useful to revisit the PBAS Observation process and then share my experience with it this term. Before discussing the process it is important for new staff or staff who have not undergone the process to understand that we do not have any specific classroom observation proforma at PBAS. We had discussed this initially when we first floated the idea of peer observations and the consensus was that a single proforma was restrictive. 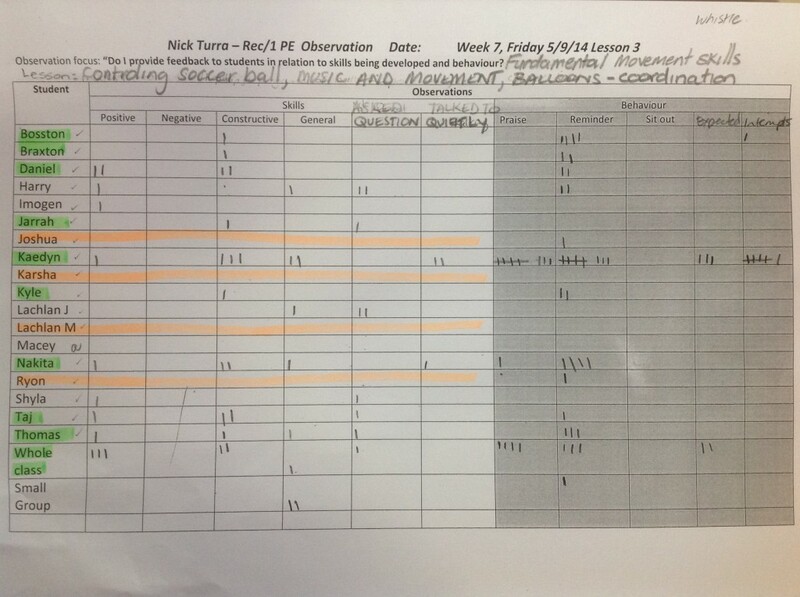 This allowed for flexibility for the observer with recording methods and did not force the teacher being observed into using a document that may not have suited their needs. Having said this I think that sharing observational proformas used by individual teachers and other sites could assist with structured observations. 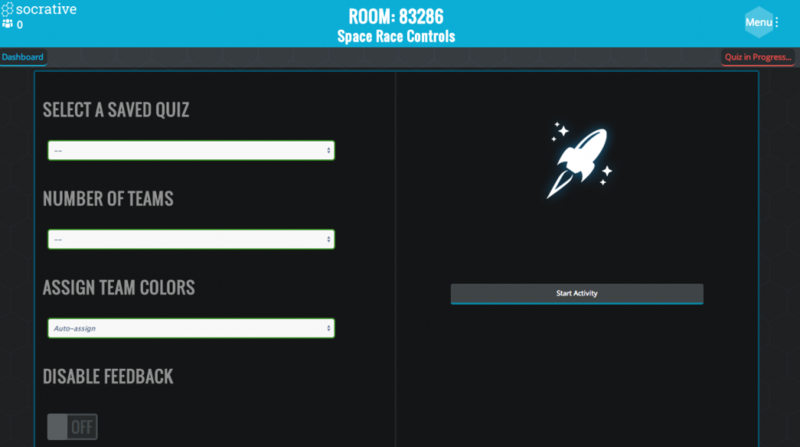 I am currently setting up a folder on the Admin drive that will hold a variety of proformas that could then be used or modified. I will be encouraging all who have used a structured proforma to save it in this folder. This resource may then help form some discussion later this year or early next year around, “How are teachers recording observational data?” Joann Weckert recently shared the Eyre Partnerships model and I felt this looked really useful so have included it in the folder. This document should be an integral part of the observational process. It allows teachers to see what is considered quality teaching. 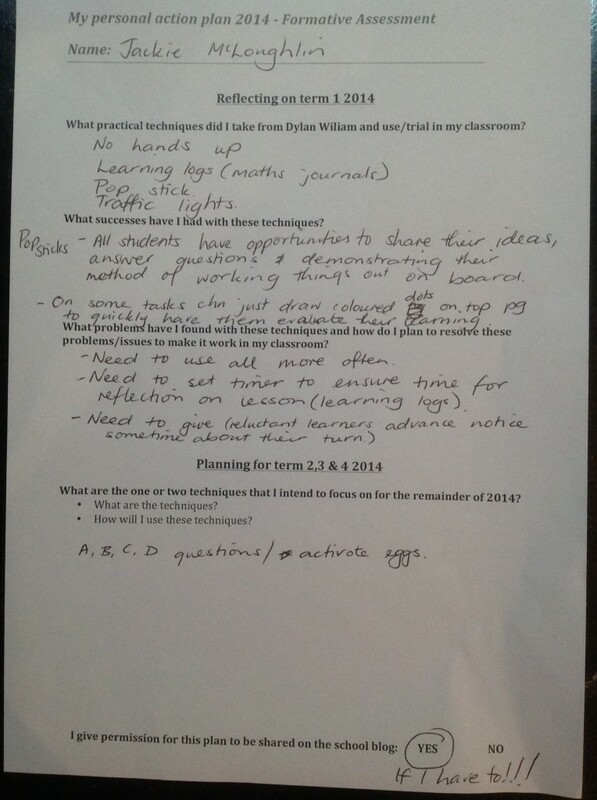 The document should be used as a starting point for professional discussions and classroom observations. The observer and the teacher need to agree to what it is that the observation is to be about. Consideration needs to be given to where this fits with TfEL, the Australian Professional Standards and School Priorities. Almost all things selected by teachers will fit into the Standards and TfEL in some way, i.e. 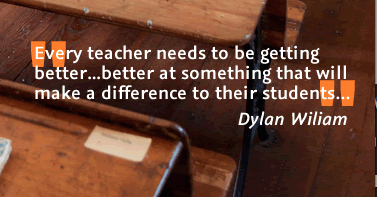 A teacher may wish to focus on how they engage students in classroom conversations. This may involve the observer timing how long the teacher talks for, how often students contribute to the conversation and what questions does the teacher use to engage students in the conversation (this would cover TfEL 3.4 Promote dialogue as a means of learning and 3.3 of the Standards Using teaching strategies). What are the students doing, saying (writing) and discussing? There should be no hidden agendas. Focus of the observation should be about improving student learning and not ranking/grading the teacher. Immediately after the lesson discuss data that you collected briefly focusing on what really helped the student learning (if possible). Both parties will meet after the observation preferably within 48 hours and discuss professional development ideas. Initially the meeting needs to provide specific feedback based on the original goals set prior to the observation. After this questions like, “How can I use the feedback to improve future lessons?”, “Where to now?”, “How will I get there?” and “When will my next observation occur?” are important to consider in terms of improving teacher quality. 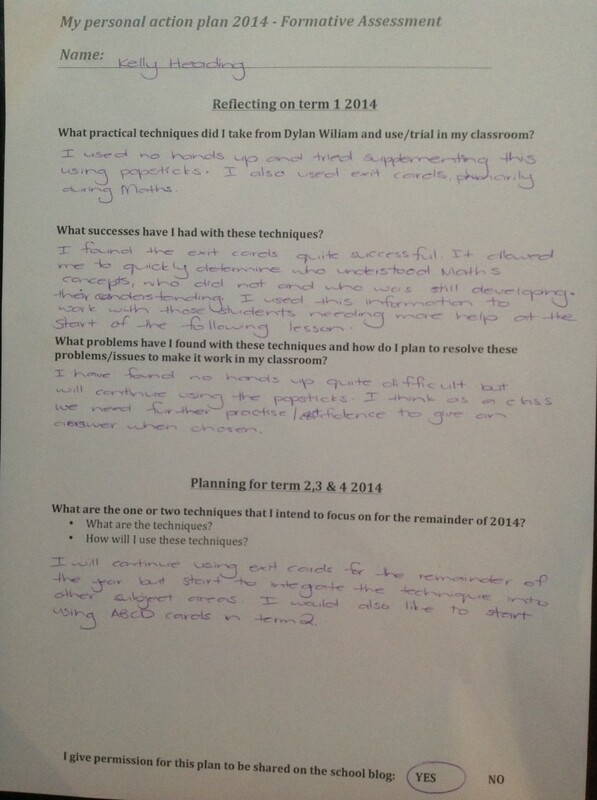 This term I have approached Denise to observe two lessons initially. My R/1 PE class and my 9/10 Pastoral Care class. The 9/10 observation will not occur until week 9 but I have completed my first R/1 PE observation. R/1 PE class – The focus for this observation (and observations to come) is how I provide feedback to students, how often and what types. The observation focus was on constructive, positive and negative feedback in relation to skill learning and behaviour. Denise kindly made up a proforma that would allow her to record this information. I will ask Denise to put this proforma in the folder that I mentioned earlier so that staff can also use or modify it to suit their purposes. Below is the completed document. The green highlights those I provided with constructive feedback while the orange highlights those I provided with no feedback during the lesson. My aim is for Denise to come in a number of times over the remainder of the year to complete the same proforma. Hopefully this will assist me with ensuring that I provide feedback to all students, particularly the constructive feedback. My intention is for the information to keep me focused on providing constructive feedback rather than too much negative/positive feedback. 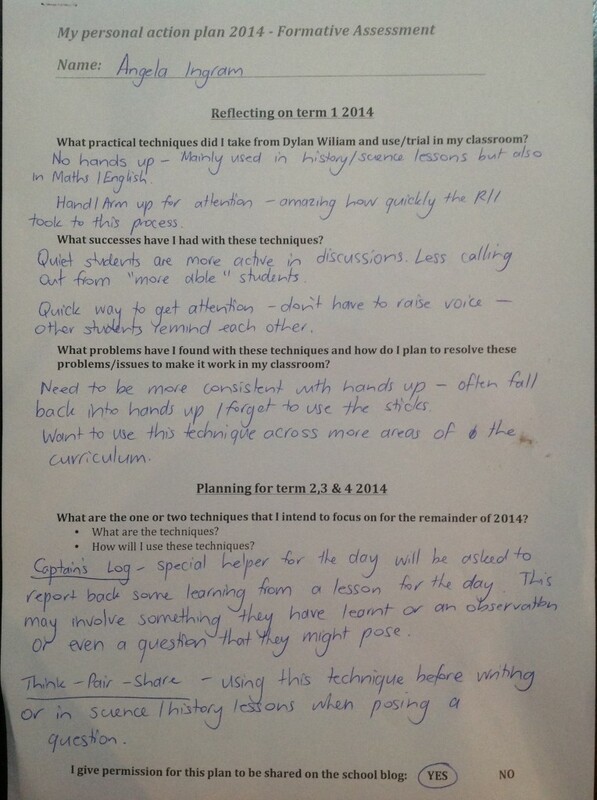 I hope that staff were able to get something out of this weeks staff meeting, being able to reflect where they are at with developing formative assessment techniques with students. It is important to remember that formative assessment is something we have been doing our whole teaching careers. It is not so much about implementing something new but building on what we have always done – moving student learning forward. As we all took the time to reflect this week I thought it was important to provide you with resources that explain some of the formative assessment techniques that teachers have discussed in their plans along with a few that teachers may not be as familiar with. The Teach. Learn. Grow. The education blog is where I have sourced the links below. This blog is part of NWEA – “Founded nearly 40 years ago, NWEA is a global not-for-profit educational services organization known for our flagship interim assessment, Measures of Academic Progress® (MAP®). Educators trust our assessments, professional development offerings, and research to help advance all students along their learning path.” It is my understanding that this group has worked closely with Dylan Wiliam in the past. 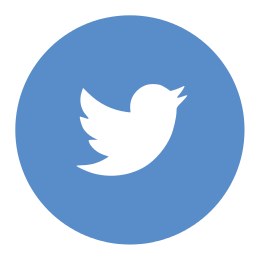 I have also created a Formative Assessment page for the blog which also contains the links below as well as some other formative assessment resources. Go to the top of the blog and click on the Formative assessment page to have a look. Each article is short and concise and provides insight into the technique and its value. 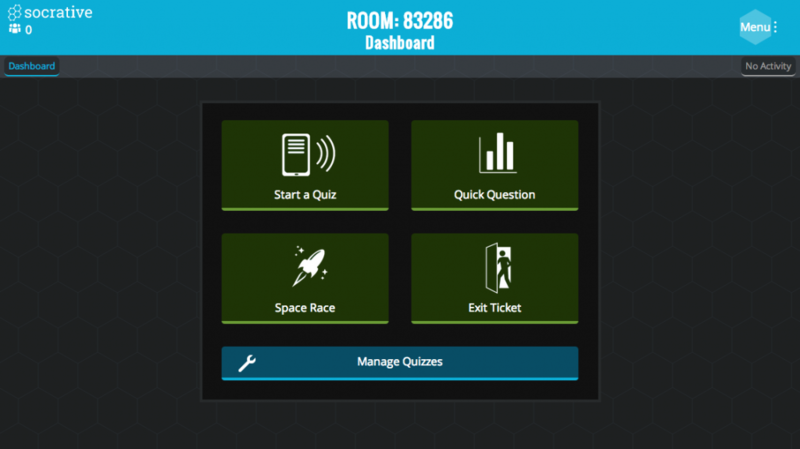 Visit the following two blog posts “22 Easy Formative Assessment Techniques for Measuring Student Learning” and “10 Assessments You Can Perform In 90 Seconds”. New clothes, Do’s and Dont’s, Three most common misunderstandings, Yes No chart, Three questions, Explain what matters, Big picture, Venn diagram, Draw it and Self directed response. In our staff meeting this week (week 1 term 3) we will be revisiting our formative assessment action plans from early term 2. What formative assessment strategies did we say we were trying to accomplish in our classrooms and have we had any success? 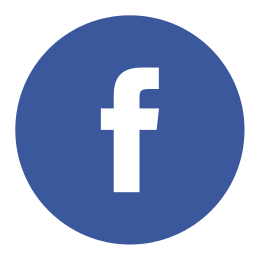 If you don’t have your personal action plan at hand then you can access it by clicking here. This will take you to the post Teacher Personal Action Plans: Formative Assessment where we shared our plans with each other. I will print a copy of all those shared on the blog and bring them to the staff meeting. Those that did not put their plans on the blog will need to bring them to the meeting. The main focus of the meeting will be to reflect on where we are at and how we will continue to move forward using formative assessment. Some time will be given to plan in more detail what it is you would like to achieve and determine timelines around implementation and reflection. 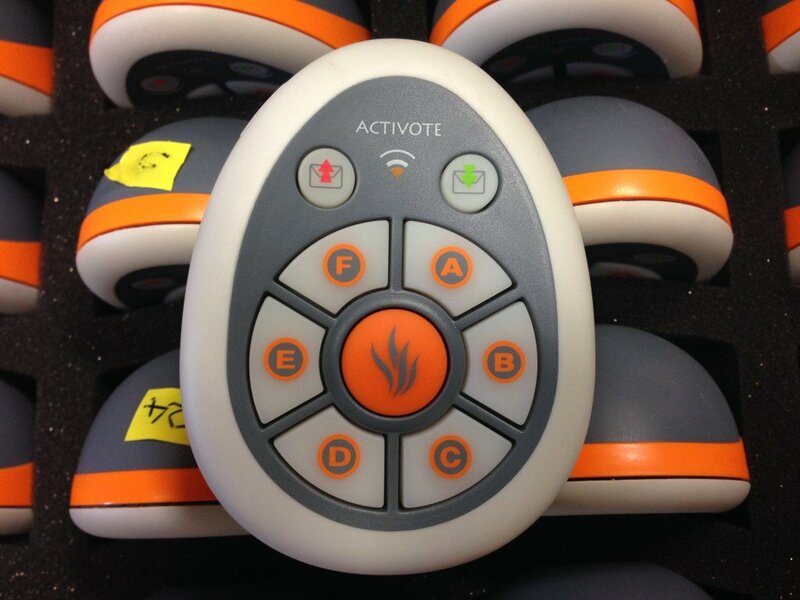 Our focus on formative assessment is about improving our ability to move student learning forward. Have you made a genuine attempt to improve your use of formative assessment or is it on the back burner (if it is why is it?)? If what you have tried or try in the future does not work for you the need to persist, adapt and modify is important. The quote from Dylam Wiliam below reinforces why formative assessment is important. Below is a graphic that has some of those formative strategies on it. There is also some video, text and images embedded into the poster to help explain some concepts. Unfortunately the video embedded could only be up to 30 seconds long as the app I used (ThingLink) was a free version, the paid version is a $250 subscription for a year designed for businesses. Due to this concepts are not explained in any detail, however revisit Dylan Wiliam’s book Embedding Formative Assessment for full explanation of all strategies. We have publicly displayed our goals and therefore much more likely to go through with them. We can see what others are doing, hopefully generating more professional conversations away from staff meetings. We can select teachers who are using a particular technique and ask to sit in and observe their use of the technique broadening our understanding of its application. 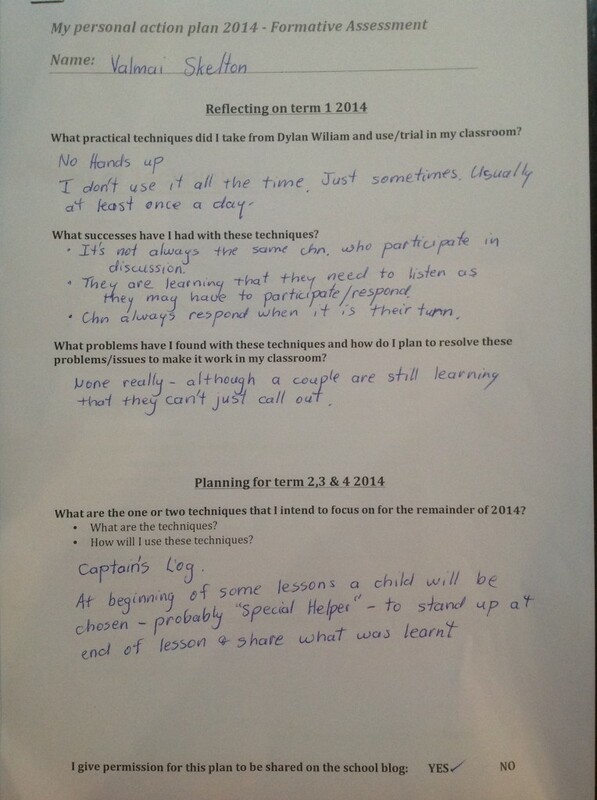 Teachers can use the Personal Action Plan as a basis for their observation lesson(s) with a peer. 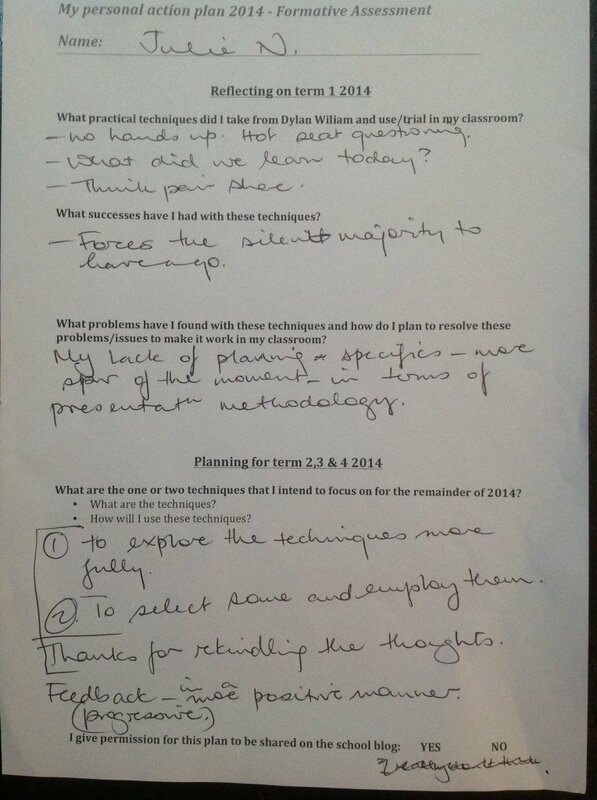 Have someone observe and give feedback on your formative assessment strategies. 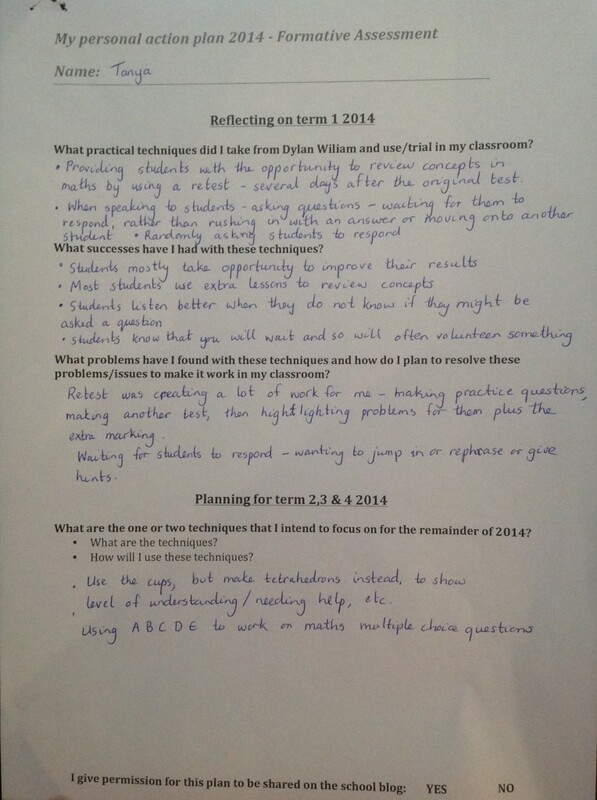 Below are the Personal Action Plans of teachers at PBAS which outline how they have used and will continue to use formative assessment strategies based on Dylan Wiliam’s book Embedded Formative Assessment. As the end of term 1 approaches I thought was timely to remind staff of our commitment as a school to formative assessment and in particular the work of Dylan Wiliam. My initial proposal that all teaching staff select at least one strategy around formative assessment to put into their performance development plan seems to have had a successful start (based on the response to the initial blog post). 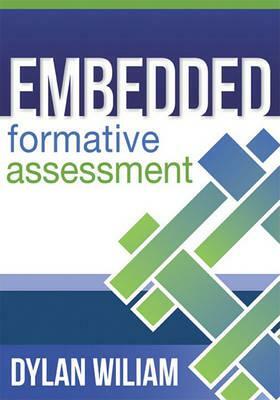 The school has purchased Dylan Wiliam’s “Embedding Formative Assessment – a two year professional development program for schools”. I am currently working my way through this resource to see how we can use and adopt the processes in it at PBAS. Click here to refer back to my initial proposal if you need to revisit this information or want to read through the comments made by staff. I think it is also important to remember that this is not a sprint and that as as school we are looking for teachers to embed one or two strategies into their teaching during 2014 rather than trying five or six that all disappear in three months. 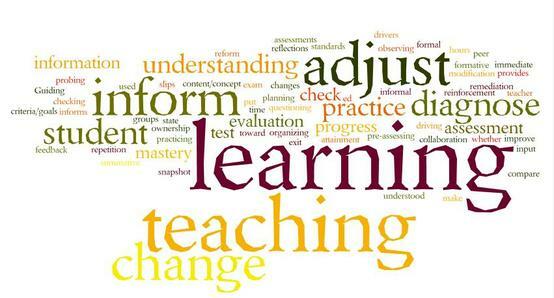 In the hope that the discussion continues I am asking that staff contribute to this blog post by updating where they are at with formative assessment, what have you been trialling and how is it going and what direction are you heading? To get the ball rolling I would like to share my progress with my formative assessment focus, quality self and peer assessment, which to paraphrase Dylan Wiliam, “improves learning by up to twice the speed of students who do not engage in rigorous self and peer assessment”. I must admit I have a fair way to go to improve students knowledge of how to give quality feedback and then use that feedback to effectively move their learning forward. 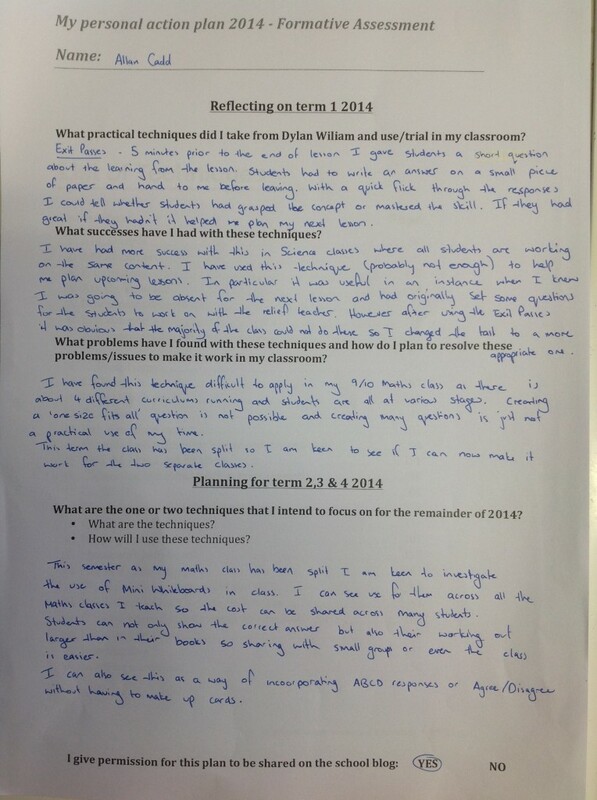 We have managed to discuss these issues though and through our athletics and badminton units students have had plenty of opportunity to provide feedback and use feedback to move their learning forward. I have included a video below that includes some student videos showing how they had to present their learning to me for assessment. Step 2 required a peer to video a student performing a skill using an iPad and downloading it to their MacBook. Step 3 involved me ensuring there was some consistant expectations about how the skills were to be performed. 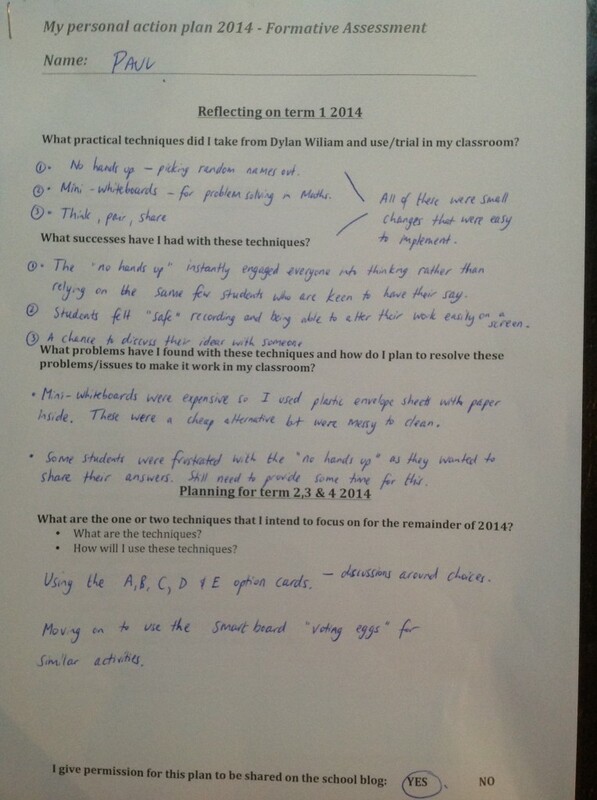 Use of You Tube, teacher modelling, peer modelling and written criteria helped achieve this. Step 4 required peers to review the video taken at step 2 and provide feedback on how that skill could be improved. This was written down in their PE books using a proforma created by me that provided success criteria to guide the students. 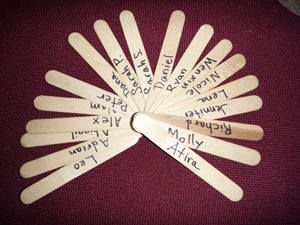 Step 5 allowed students to select one piece of feedback provided by a peer. They spent a few lessons trying to improve this area of the skill. At this point I contributed feedback to assist students. Step 6 required students to take a second video that would demonstrate their learning. Both videos were put side by side in iMovie with students adding text to acknowledge the feedback they were given and also explain where the improvement occurred. 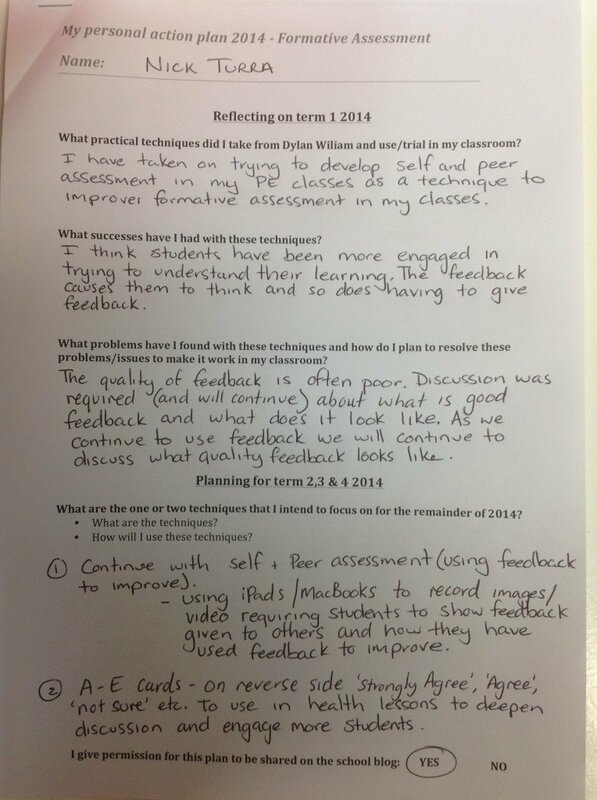 My aim is to continue this process throughout 2014, refining the process and the students ability to provide and use feedback. 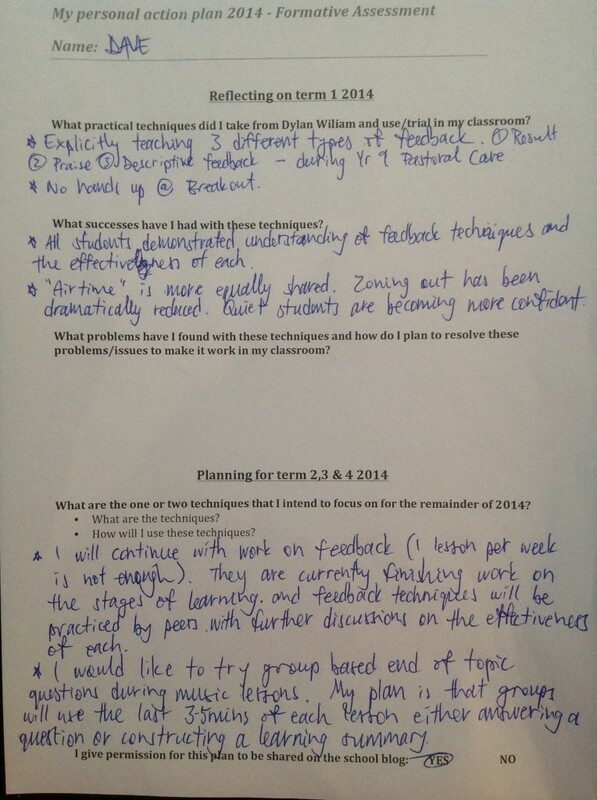 The Australian Curriculum HPE requires students to demonstrate the ability to provide feedback as well as use feedback to improve performance.